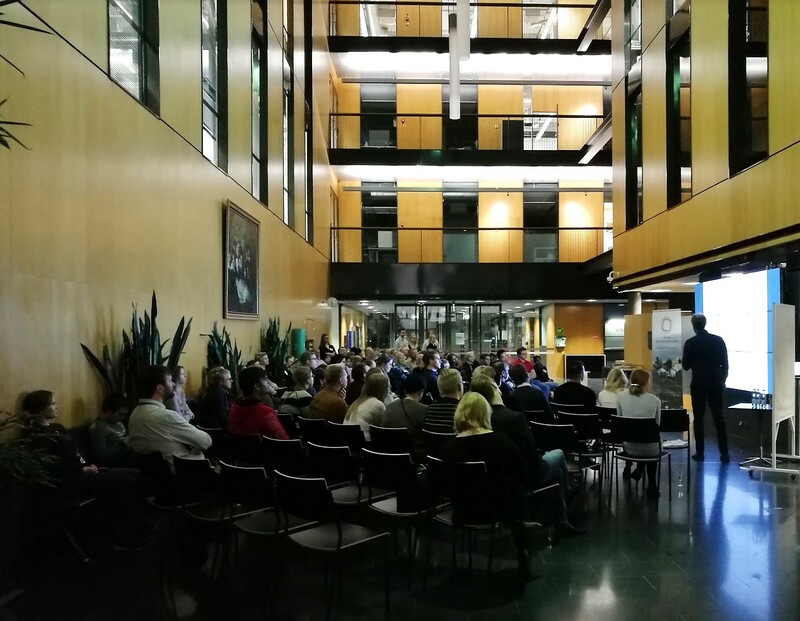 The Oulu Bioscience Networking Event 2018 was organized on the 2nd of November at the Kontinkangas campus of the University of Oulu. 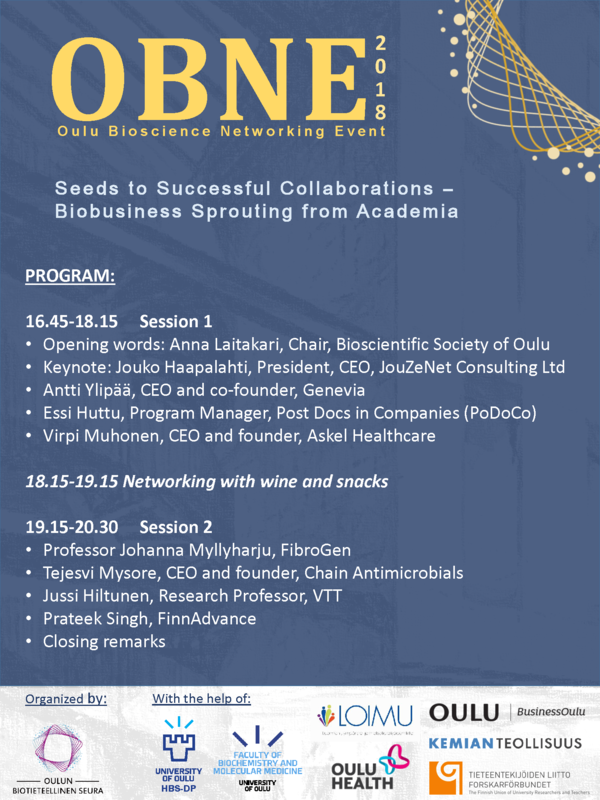 The theme of the evening was “Seeds to Successful Collaborations – Biobusiness Sprouting from Academia”. The aim was to discover the secret to successfully getting one’s foot in the door with business collaborations or start-ups as an academic. The event gathered 100 bioscience professionals from academia and local biobusinesses. The keynote for the event was given by the distinguished biobusiness professional, President and CEO of JouZeNet Consulting Jouko Haapalahti, followed by the personal success stories of our invited visiting speakers Antti Ylipää (CEO, Genevia Technologies) and Virpi Muhonen (CEO, Askel Healthcare). We also heard how Post Docs in Companies PoDoCo could help us connect with the business world by the Program Manager Essi Huttu. During the networking session, the conversations continued accompanied by wine and delicious cocktail snacks. Next we heard our very own success stories from Oulu, when Professor Johanna Myllyharju presented the collaboration with FibroGen, CEO Tejesvi Mysore the story of Chain Antimicrobials and Research professor Jussi Hiltunen talked about university collaborations with VTT. The last inspiring speech of the evening was given by M.Sc. Prateek Singh, who recently secured an EU funding for his new start-up FinnAdvance. 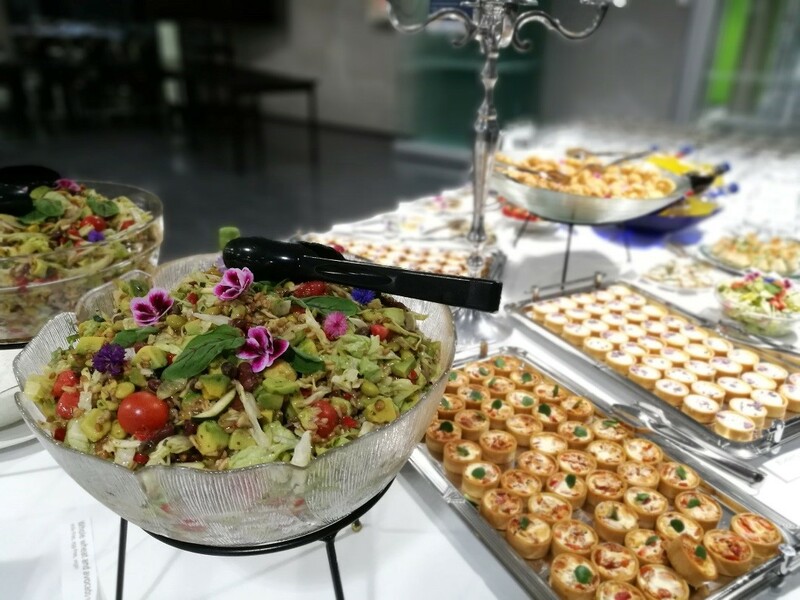 The atmosphere in the OBNE2018 was pleasant and inspired, and the participants left the event looking forward to the OBNE2019. The event was organized by the Bioscientific Society of Oulu, with the help of the BioBio Society, University of Oulu Health and Biosciences Doctoral Programme and Faculty of Biochemistry and Molecular Medicine, BusinessOulu and Oulu Health, The Union of Professionals in Natural, Environmental and Forestry Sciences Loimu, The Finnish Union of University Researchers and Teachers and the Chemical Industry Federation of Finland.